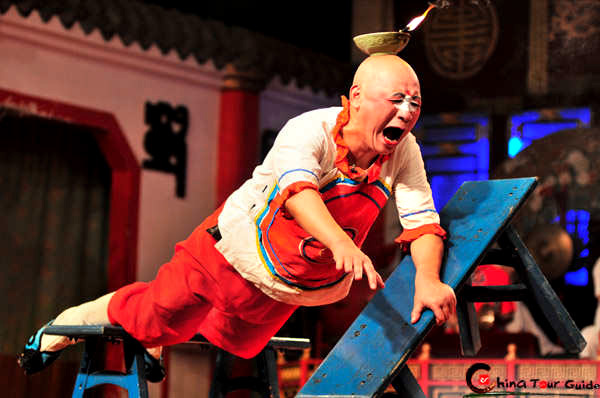 Shangli Old Town is located on the north of Ya'an City, Sichuan. It is an important dak of the ancient Tea-Horse Route in history. In the Long March, the Red Army soldiers once stationed in the town and left many slogans (carved on the stones) and revolutionary relics. 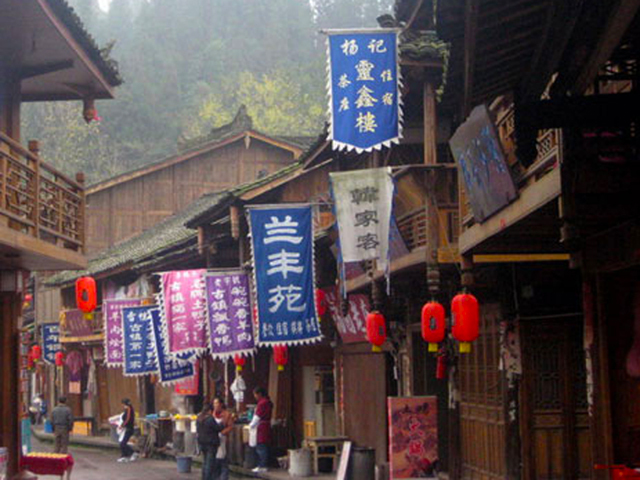 These add more mystery flavors to the town than that of its kind in Sichuan province. 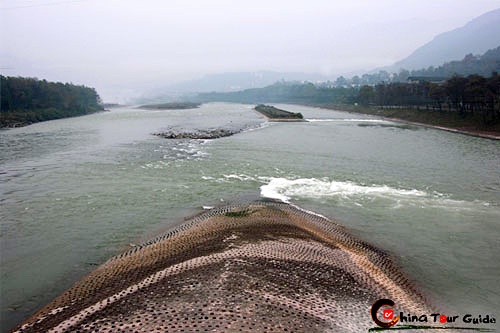 Surrounded by mountains and water, Shangli Old Town is noted for its evergreen trees, delicate hillocks, wooden resident houses, stone-paved streets, towers, ancient archways, caves, the Tang dynasty's spring (The White Horse Spring), and historical stone bridges. 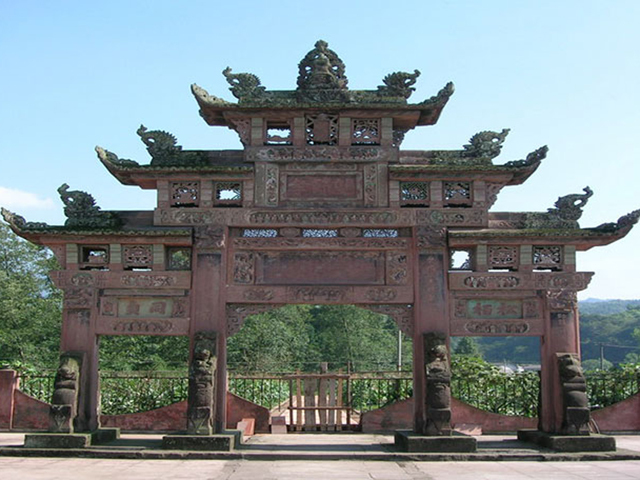 The environment here is well protected, and the sites and scenery retain the ancient style. 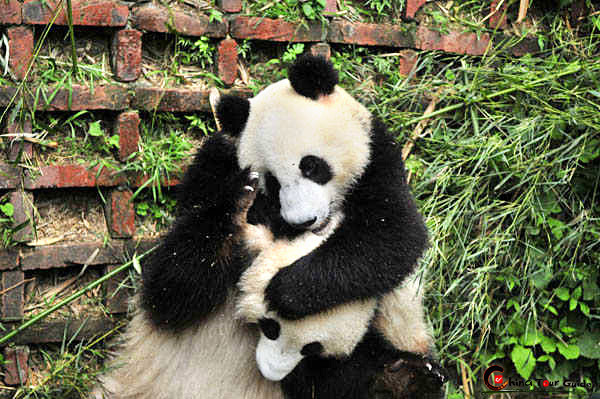 Shangli Old Town is listed as one of the "Ten Ancient Towns" in Sichuan by the provincial cultural relics bureau. Shangli Old Town is also named "Wujiakou (literally, the town of the five families)", for Family Han, Family Yang, Family Chen, Family Zhang and Family Xu, five big families used to live here in ancient times. Main streets in the town are in a layout of the Chinese character "well", flanked with ancient shops, residential houses and courtyards. 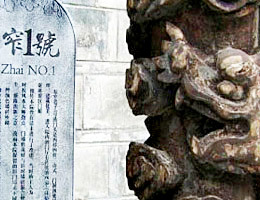 Most architecture is made of wood and of Ming and Qing dynasties styles. 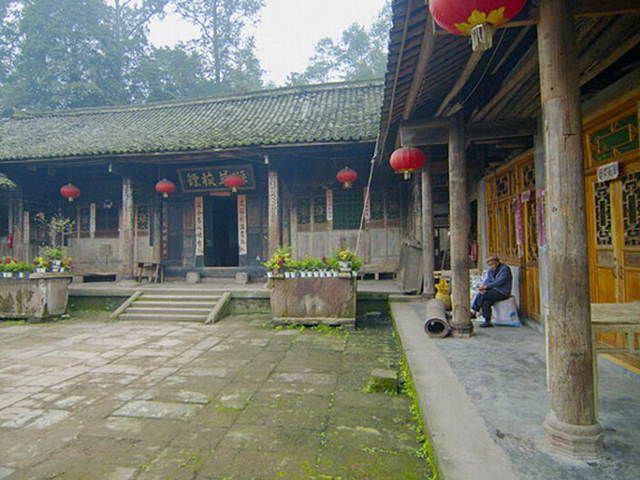 In Shangli, visitors can also visit suspend buildings (wooden house projecting over the water) of the two dynasties. 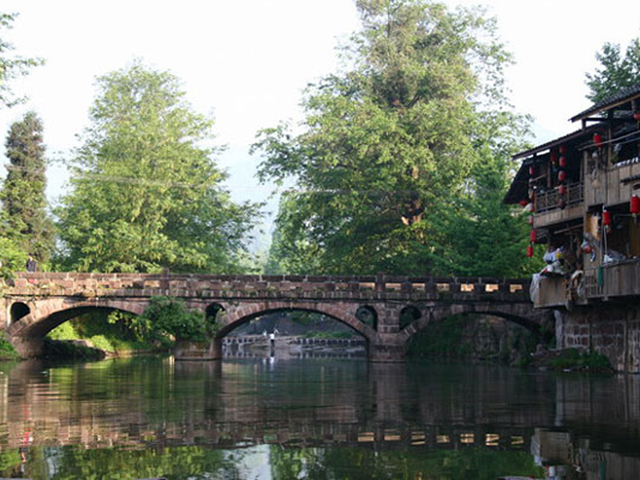 There are eight stone bridges in Shangli Old Town, with long history and distinguished styles. Among them, Erxian Bridge is best famous. The perfect combination of history, culture and tradition with natural beauty makes the town mysterious and full of vitality.